1. How does fertilization work, what is the role of fertilization? In all plant productions, crops export mineral components, resulting in an impoverishment of soils in plant nutrients. Moreover, depending on crop intensification comes out a degradation of the agronomic properties of the soil linked to its biology, structure and humus content. The roles of fertilization are to restore and maintain the nutritive potential of soils by providing all the nutrients essential to the development of crops but also to improve and regenerate their vital agronomic functions which are supported by the return of organic matter. To meet the requirements of sustainable agriculture, fertilization should be carried out in a reasoned fashion, both on plant nutrition with fertilizer supplies, and with organic or mineral amendments to protect the natural fertility of soils.Organic fertilization perfectly meets this dual requirement by integrating productivity and respect for the environment. 2. Why are humicable organic matters so important? For many reasons: they generate humus; they allow the formation of micro aggregates giving a good structure (lumpy structure); they allow to shelter and to stimulate biological activity; they ensure a high water retention capacity; they provide the fixation of fertilizing elements; they warm up the soil; they alleviate, soften, give body to the ground; they allow a better use of fertilizers. 3. What is the difference between "humus" and "organic matter"? Humus is organic matter that has evolved. Humus through the process of mineralization supplies plants with the nitrogen from the soil. A soil without humus is an inert or mineral soil. That’s why organic matter should not be below 2% in an average soil (with 15 to 20% clay content). There are other types of organic matter: organic fertilizers, plant debris, fresh manure ... that will then evolve through different ways into humus form (see OMSI, Organic Matter Stability Index) ... And finally, the term "organic matter" covers all of these materials from natural origin that make up living things. 4. What is meant by coefficient K1 and K2? 5. What is a soil desirable organic matter content? Humus is known to make "heavy soils lighter and give body to light soils". So the 40% clay soils will need a lot of humus. Similarly, light soils (clay> 10%), will require a good humus content to increase their water holding capacity. Desirable levels of organic matter are as follows: 10% clay = 3% organic matter 15-25% clay = 2-3% organic matter 30% clay = 3-4% organic matter. These levels are indicative. In fact, a high level of organic matter is always recommended provided this high rate does not come from a bad evolution of the organic matter. Actually, the presence of a high level of organic matter can result from a poor mineralization of humus due to adverse environment conditions (lack of aeration, low temperatures, extreme hydromorphy and pH). 6. Can humus give better returns for fertilizers? Yes, it can. The return to fertilizer inputs is greater in a soil rich in organic matter and with favourable environment conditions. Can the stock of organic matter be quantified? Yes, through analysis. In a soil containing 2% organic matter, the quantity of humus (60 to 75 tons by 20 to 25 cm of soil) represents the product of thatch transformation that would come from a hundred years of cereal cultivation. The accumulation of such capital is the fruit of centuries. It is therefore advisable to take all the necessary steps to prevent it from being wasted but used for the best, by remembering the supply/contribution of organic manuring for maintenance, which is essential to maintain its soil in a good state of fertility. 7. What must be done to have a good soil structure? One should: provide soil with Organic Matter supplies (OM) (i.e. organic fertilizers), with shallow ploughing in order to avoid "diluting" the humified organic matter (humus), i.e. to avoid mixing the surface horizons rich in OM, with poorer deep horizons. 8. Is green manure always worth applying? In some cases where the structure is good and humus rate tends to fall, green fertilizers are not advisable because they will further activate the decomposition of this humus. They provide very little humus themselves (see K1) but they improve the structure thanks to transitory products and limit nitrogen losses due to leaching. 9. Is microbial life so important really? How can it be promoted? Yes, it is very important because it is the function of micro-organisms to help evolve soil elements to make them available to the plants. It is the microorganisms that transform fertilizer inputs and humus reserves to release nutrients. In order to promote life in the soil, a very special attention must be paid to the quality of the organic inputs and to tillage, by seeking to get a loose, aerated structure with good stability. Warming, medium moisture and pH close to neutral are, along with aeration, the key factors enhancing active microbial life. 10. I have learned that the C/N ratio is important. Why ? High values must be linked to adverse conditions of evolution. Of course, these indications are valid for soils managed as yearly crops. Permanent grassland soils have a high organic matter content on the surface and the C/N ratio is often high too. 11. Dry weight or gross weight on crude product? One should accurately check on the product sheets of the organic amendments that the nitrogen and organic matter contents are expressed on gross product, as standards command it on bag labels. The wording of contents on dry product increases their values deceptively. For example: granulated Vegethumus. The 60% rate of organic matter on crude product actually equals an 80% dry organic matter content. 12. You name it organo-mineral fertilizers? Professionals know it well : under the same fertilizer standard labelling NF U42-001 organo-mineral, two opposite products can be found from an agronomic viewpoint: organomineral fertilizers pellets containing over 50% of plant compost and organo mineral micro- ball granules containing 10% animal organic base of leather meal type ( supplying a minimal 1% organic nitrogen). The transformations of the elements useful to the plant: carbon, nitrogen, sulphur and phosphorus are closely linked to the microbial activity of soils. Bacteria and fungi representing over 1000 species play important parts in many processes: • Release of nutrients from organic matter and soil minerals. • Oxidation of ammonium into nitrates (nitrification - nitrosomona and nitrobacter bacteria). • Production of growth hormones that promote root development. • Competition with pathogenic micro-organisms that can thus limit the risks of diseases. 14. Respect for the consumer? 15. What is a biostimulant? A plant biostimulant is a product approved by the Ministry of Agriculture with a marketing authorization number (MA). It acts on the stimulation of the plant metabolism allowing it to resist stress... Examples : OSIRYL and XEOX Espaces Verts. A nutritional biostimulant is the extension of use of a plant biostimulant approved with fertilizing materials, in accordance with NF U44-204. Examples: ACTIMUS, EVER 7, NUTRIBIO+, NUTRIBIO 4.3.6 , NUTRIFIX NK. 16. If additives based on microbial preparations or humic substances are already widely known, in particular by their natural presence in soils, what about crop growth stimulators? Actually, certain constituents such as humic acids, mycorrhizae and other microorganisms are already present in soils. For that matter, mixing humic substances with organic amendments is banned. Plant growth stimulators are thus particularly beneficial constituents because not only can they improve plant nutrition and growth, but also their resistance to abiotic stresses such as cold, water stress and others. 17. What is meant by agronomic fertilizer additives? Agronomic fertilizer additives are substances that can give a new fertilizing property, different from the ones main fertilizers provide. Among these new fertilizing properties, actions promoting the growth and / or development of crops or one effect improving the physical and / or chemical and / or biological properties of the soil will be found. The agronomic additives selected in this regulation are humic substances, microbial preparations and plant growth and / or growth stimulators. 18.How interesting is the new NF U44-204 regulation on fertilizers? Scientific research has led to the discovery of new products whose actions improve the development of plant production, without necessarily being part of a purely nutritional action. The interest of these products lies in the objective to produce better while meeting societal requirements in terms of sustainable development. This new regulation thus authorizes the mixing of these products once they are approved individually and when used as additives in a mixture with fertilizers. 19. What is the purpose of the new regulation NF U44-204? This regulation, dated 22 May 2015, defines the names and specifications of fertilizing materials with agronomic additives, with the exception of growing media (NF U44-551 / A4). Among the fertilizing materials concerned by this standard, one can find mineral, organo-mineral and organic fertilizers, basic mineral amendments, basic mineral-fertilizer amendments and organic amendments. This standard applies to all of these fertilizers with agronomic additives approved and authorized for this very use as a mixture. This standard does not apply to agronomic additives individually which are otherwise subject to approval. 20. Does ANTYS improve the resistance of crops in foliar and water stress conditions ...? Depending on the season, stress conditions affect the foliage and the quality of fruits. For example, water stresses are now recorded earlier and earlier, from May to June. The ANTYS program provides corrective action to these nutritional dysfunctions, promoting the uptake of reserves in plants (wood ...). 21. How beneficial is it to apply ANTYS on fruit trees? ANTYS applications are recommended in arboriculture to improve the size of fruits and to increase their resistance. As for the latter, applications of ANTYS Ca allow to better preserve the fruit (e.g. when applied on cherry trees, 8 days of fruit preservation can be gained out of the cold storage room). 22. Is ANTYS compatible with most products for foliar treatment? Yes it is, except for highly nitrogenous products from the range of ANTYS 15 type with fosethyls and mixtures of ANTYS Ca with sulphates. In any case, the precautionary principle on mixtures requires a preliminary test in a container in order to validate the physical stability of the mixed products. .
23. Can ANTYS compensate for nutritional deficiencies in crops? Yes, foliar applications have the advantage of being in direct contact with the foliage and therefore rapidly assimilable according to weather and crop conditions. Comparative results show the high effectiveness of ANTYS treatments for correcting and preventing nutritional deficiencies. 24. How interesting is it to treat deficiencies correctively with ANTYS instead of simple mineral products? The antioxidant and nutritional synergistic action of the ANTYS products greatly increases the effectiveness of the treatment: ANTYS restores the physiological activity of the plants and promotes a better efficiency of the combined mineral elements. 25. Is it preferable to treat deficiencies correctively rather than preventively? As a rule, a preventive treatment is more efficient than a corrective one because, depending on the symptoms observed, the plant is more or less receptive to treatments. In fact, treatments applied too late can harm plants even more sometimes, by causing burns when the foliage is no longer able to absorb the products. The synergistic action of the ANTYS treatment allows to intervene rapidly on these nutritional deficiencies. 26. What alternative treatments can be implemented to meet the demand for environmentally-friendly or 'clean' crops ? To face this challenge efficiently, one should act at earlier stages: first at soil level, in order to restore the physicochemical and biological properties promoting the nutrition and resistance of plants, then optimize the soil / plant interface made up of the root system and finally prevent aerial stresses by implementing the ANTYS program. 27. Can the ANTYS program added to the list of sustainable fertilization practices and to improve the effectiveness of fertilizers? Indeed, the sustainability of soil fertilization involves promoting the effectiveness of nutrients for the plant. Fertilizing plans based on scheduled applications of organic fertilizers (Orga 3, Guanorich, Vegethumus ...) - will prove more accurate, due to their slow release of nutrients into the soil and their biological properties - in addition to the ANTYS program, they offer solutions which can promote a better management of fertilizers and a new direction to improve the protection of the environment. 28. What program can be implemented for vineyards, market gardening and fruit trees? The program should be adjusted to different crop conditions and issues. On vines, the ANTYS NPK (8 or 15) and ANTYS K program will generally be recommended to reactivate vines in the spring and improve the quality of the harvest. On fruit trees, ANTYS NPK (8 or 15) and ANTYS Ca will also help enhance crop yield and quality. On vegetable crops, spray applications of ANTYS 15 and ANTYS 8 will be recommended to restart plant growth as well as ANTYS Ca by spray application on lettuce or drip irrigation on summer vegetables, strawberry, melon to improve the stability/appearance and homogeneity of the crop. In case of deficiency, ANTYS Fe, MgS ou K will be used earlier to treat the first symptoms as soon as they appear (see data sheet). Finally, ANTYS PMg will be recommended for all crops presenting a flowering deficit. 29. When should I use ANTYS NPK? ANTYS NPK, ANTYS 15 and ANTYS 8 should be applied in situations of crop growth, at the very start of vegetative growth, to promote flowering until final fruit set or swelling. 30. When should I use ANTYS K? ANTYS K is generally applied from the beginning of maturity from the late stage of fruit set to veraison or early maturity. In conditions of potassium deficiency, ANTYS K can be recommended much earlier. 31. When should I use ANTYS Fe? In case of iron chlorosis, ANTYS Fe is applied preventively or correctively in case of deficiency as soon as leaves develop while avoiding applications made during full bloom. 32. When should I use ANTYS Ca? ANTYS Ca is applied preferably after flowering at the beginning of ripening, calcium is hard to become available in the fruit if applied too late. 33. When should I use ANTYS PMg? ANTYS PMg is applied for flowering management. In case of coulure/shatter, apply in 2 applications before flowering. 34. What is special with the iron contained in ANTYS Fe? ANTYS Fe contains iron in chelated EDTA form. ANTYS promotes its assimilation by the leaves. 35. What is special with the ANTYS NPK formulation synergistic effect when photosynthesis is restarted? 36. Is the magnesium phosphate of ANTYS PMG water soluble? ANTYS PMg is formulated from entirely water soluble magnesium phosphate and enriched with nitrogen and boron. This antioxidant synergy allows a better resistance at the very early stages of flowering and fruit set. 37. Is ANTYS Ca calcium phosphate water soluble? ANTYS Ca combines water soluble calcium phosphate with ANTYS. This synergy promotes the absorption of calcium and improves the preservation of crops. 38. Is ANTYS K potassium water soluble? ANTYS K is formulated in chloride form, a highly soluble salt directly available by foliar way, without burning risks. 39. What is the recommended application rate for ANTYS Fe? ANTYS Fe is applied at the rate of 3 l / ha, dose of optimal efficiency, do not overdose with iron chelates. 40. What is the recommended application rate for ANTYS PMg? ANTYS PMg should be used at the rate of 3 to 5 l / ha in 2 to 3 applications. 41. What is the generally recommended application rate for ANTYS K? ANTYS K should be used at the rate of 3 to 5 l / ha in 2 to 3 applications. 42. What is the generally recommended application rate for ANTYS NPK? ANTYS NPK, ANTYS 15 and ANTYS 8 should be used at the rate of 5 l / ha in 2 to 3 applications. 43. What is the generally recommended application rate for ANTYS Ca in directed spray? ANTYS Ca of acidic character should be used in drip irrigation or sprinkling at the rate of 15 to 20 l / ha, spaced out according to water requirements. 44. At what maximum concentration should I use ANTYS PMg and ANTYS K? ANTYS PMg and ANTYS K are used at a maximum concentration of 2.5%. 45. At what maximum concentration and how should I use ANTYS NPK and ANTYS Ca? ANTYS NPK (ANTYS 8 or 15) should be used in foliar to 2,5% max - ANTYS Ca on the ground, in drip irrigation or sprinkling at the concentration of 2 to 5 ‰ in working solution. 46. How should I use ANTYS Ca and ANTYS Fe in foliar, and soil applications? In foliar applications, ANTYS Ca should be applied at a maximum concentration of 1.5% same as ANTYS Fe. 47. Does OSIRYL work in vine nurseries by soaking plants in it? At the end of stratification: OSIRYL is applied during the raising of young plants, as soon as the first roots have emerged over the first 2 to 3 months of cultivation. So, soaking has no effect on bare plants. Osiryl must be absorbed by the roots. However, It is possible to apply OSIRYL by mixing and puddling it with clay. 48. Does it work in market gardening by soaking prior to planting (associated with the previcure, for example)? The answer is the same as before. OSIRYL should be used to restart young plants when roots are in a condition of absorption. However, saturating the substrate of the mini-clumps by puddling or watering in a 0.2% solution will prove positive, particularly with potted vine plants. 49. Can OSIRYL run through watering, spraying, drip systems? As a certified soil and non-soil fertilizer, OSIRYL does not clog and does not precipitate, so there should be no problem as long as it is properly mixed in water, according to the concentrations recommended in the data sheet. This is in contrast to certain products based on humic acids (pH: 12-14) which can clog. 50. Is it possible to use OSIRYL off-soil in a nitric acid solution to lower its pH? OSIRYL is compatible in a wide pH spectrum, its low acid nature is particularly well suited to an optimum absorption rate close to pH 6, off-soil. 51. What are the risks of impairing foliage in case of splashing? 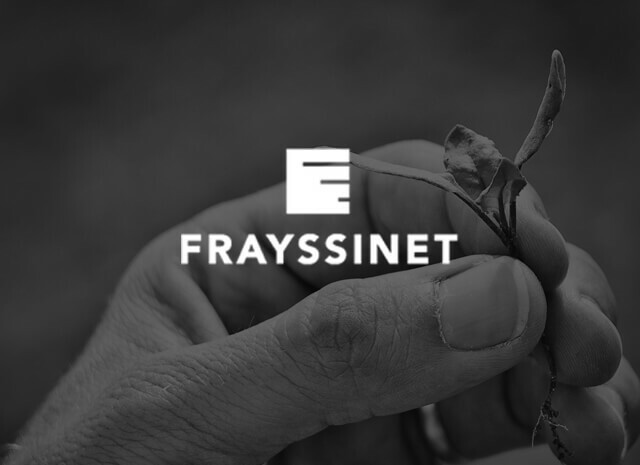 OSIRYL is applied by sprinkling (0.2%) especially on lettuce (very fragile leaves) without problem. When sprayed to the ground, in 200 to 500 l / ha on vines for example, no phyto problem will occur by splashing on foliage. If treatment of young planchers in vegetation (very low vegetation), prefer applications by wetting more in order to increase the surface of contact of the product on the ground (OSIRYL is applied especially when starting the roots). In market gardening, after spraying, give a shot of sprinkler. OSIRYL is particularly adapted to this type of situation where organic matter is recommended to improve the soil and OSIRYL to revive the root system and better colonize the soil. Ideally one should intervene mainly in situation of root absorption or before bud break of the vine of the product (see question on the period of application). Therefore, it is advisable to intervene as timely as possible during the root absorption threshold and beyond. No interest, remember, in summer on vine. 54. What is the risk of leaching after a heavy rain? OSIRYL is organic and its leaching is limited in soils of balanced texture. On the other hand, the risk is high on soils very poor in OM; that’s why one should opt for applications in situations of root activity – on vine - (from bud break) on those soil types, and by intervals if possible, in market gardening. 55. How deep within the soil should OSIRYL be applied by coulter/cutter or stake? OSIRYL is applied in the upper horizons (from 10 to 30 cm) and the more you go into the season, the closer you get to a chelated type localization. 56. Is OSIRYL compatible with chelates? Yes, since it potentiates root absorption hence better efficiency of the chelates. 57. Is OSIRYL compatible with weed killers? Yes, as long as to the 200 to 500 l / ha application water volumes are respected (in low volume <150 l: make a classic test of physical compatibility in a bucket). 58. At what temperature can OSIRYL be used? It is rather the threshold of bud break in the spring (> 10 ° C in the soil for the vine) that signs the limit above which the roots will resume an activity, so OSIRYL is absorbed as soon as the roots leave. Applied earlier, OSIRYL attaches itself to the colloids of the soil in anticipation of the awakening of the vegetation. 59. In what season can OSIRYL be applied in open field? The best application time is spring and autumn before the harsh winter periods for autumn planting - no point in applying to vines in full summer. However, for market gardening, Osiryl is applied throughout the cycle to restore reserves (asparagus…), in regressive situation or root restart (melon …), and for crop homogeneity and quality. 60. Is OSIRYL effective by surface applications while some vines are known to go down deeper than 3 m? Some vines can actually go down even deeper (> 10 m), it is exceptional cases for water needs. In general, the vine feeds within the 20 to 50 cm upper layers of soil, hence the principle of surface fertilization. OSIRYL does not escape this rule and will be conveyed to roots by water in the same way. 61. Can OSIRYL make grass grow? OSIRYL is not a fertilizer but a root growth stimulator. Grass growth is controlled by the supply of nitrogen fertilizer which is the key factor, so no consequence should be expected. However, on deficient lawns already supplied and treated with nitrogen, OSIRYL can promote root restart in stressful conditions. 62. How long is the OSIRYL effect active within the soil? OSIRYL is readily available if properly supplied to the roots, otherwise, like any organic molecule, it gets fixed to the soil colloids available to the plant. Our experiments show that its effects are visible 3 months following application after planting in vineyards. In fact, the plant reacts rapidly, hence this sustain on the root system which is still apparent several months later, especially during summer stresses. On intensive crops, however, OSIRYL is rapidly metabolized. High needs therefore require interval applications the same as for the nutrition of legume crops. 63. Does OSIRYL work on any type of soil? Yes it does, the auxin protective mechanism does not depend on the physical and chemical conditions of soils since the product is absorbed by roots. One must remember to avoid over- watering to prevent leaching. It is advisable the product should be properly positioned so as to optimize its effectiveness (see previous questions). 64. Can OSIRYL be used on cuttings? Yes, it can. Controls conducted on quince trees show a significant improvement in the root restart of cuttings, so cuttings should be watered in this case with a 2‰ solution of Osiryl and the application renewed 15 days later. 65. Is it possible to plan applications of OSIRYL on perennials later in autumn? Yes indeed, ligneous plants grown in tree nurseries and plantations show 2 optimal periods of nutritional absorption from planting time or in spring for adult plants during the development of young rootlets and in early autumn by the uptake of nutrient reserves before the first cold spells. 66. Relying on the results of OSIRYL on root resistance, is it possible to improve the nutrition of crops under stressful conditions? Yes, the observations made on root systems in stressful conditions due to necrosis ... show that the OSIRYL treatment allows to better feed the plants presenting symptoms of root decay. In that case, the treatment for these symptoms should be complemented with supplies of nutrients and water elements.